Most of us feel that leaving these negative states behind and achieving higher states will require a great deal of effort. We put the accomplishment in the future. Dan Slot shows us how we can achieve those states now - for it takes no time at all to simply be what you really are now. Dan's work follows in the tradition of "The Secret" and is heavily influenced by the work of David Hawkins. He uses an engaging and enlightening tale of fiction to provide his readers with the answers they seek. The journey of Tanxian zhe, simply known as “Tan,” begins aboard the Conscious Awareness. 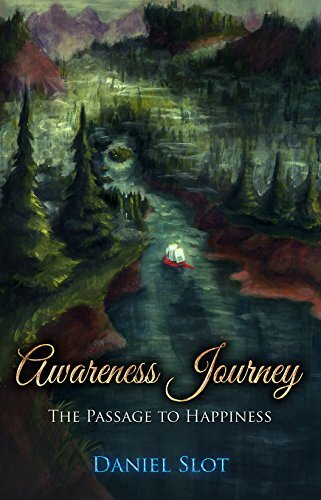 His allegorical ship takes you to different ports within your own heart, soul, and mind where, along with Tan, you will explore locations and characters representing various emotional states of mind. These stops may either prevent you from finding happiness, or propel you toward your goal. By vicariously understanding each character’s perspective, you might just discover how the power of individual thought and perspective can help you find a fulfilling harbor. Do you know where your thoughts, beliefs, and choices are leading you? Use this form to contact Dan Slot with any questions, suggestions or requests for information.